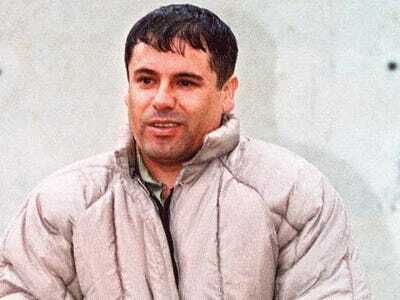 Guzman hasn’t been photographed in public since early 2001, when he escaped from a Jalisco, Mexico, prison in a laundry basket. Twitter has been roiling after a Guatemala official told reporters Thursday that one of two victims of a gunfight looked like the infamous Mexican drug lord Joaquín “El Chapo” Guzman.The rumour and subsequent investigation has proven irresistible as numerous outlets have speculated on the Sinaloa cartel kingpin’s demise. However, Guatemalan officials are now saying that soldiers and police scanning the area didn’t even find evidence of a shootout. Bonilla said the original account was based on news reports quoting testimony from residents of the jungle region of Peten, an isolated area on the Guatemala-Mexico border where the alleged confrontation took place. An Associated Press photographer in the area also found no signs of a shootout or victims, just a checkpoint of 12 soldiers stopping vehicles in an area considered to be held by Mexico’s Zetas cartel, Sinaloa’s biggest rival. Al Jazeera’s John Hendren, reporting from Mexico City, called the incident “one of the more spectacular examples of initial information apparently being wrong.”The story has persisted given its plausibility: Guzman reportedly has a hideout in Peten and on February 11 authorities captured Francisco Javier Rodriguez, the head of Guzman’s security team known as the “ghost” of Chapo. Furthermore cartels are known to covet the bodies of their fallen leaders, as seen in October when a group of armed men stole the body of drug lord Heriberto Lazcano from a funeral home after he was killed. Guzman was also recently named Public Enemy No.1 in Chicago and has been on the Forbes’ list of billionaires since 2009. The U.S. has a $5 million reward for his capture despite allegations that Guzman works with Washington.